Modern tax technology is an important part of the digital financial core for business. Traditional tax software wasn’t built for today’s new era of digital tax enforcement. The report arrives at a crucial moment in the digital transformation of tax. Members of the investor community seeking analysis of companies working to safeguard businesses from the burdens and risk of modern tax. The resulting first-ever IDC global tax automation software assessment acknowledges both the expanding digital transformation of tax and modern tax technology as an important part of the digital financial core for businesses. At Sovos, we are committed to helping our customers build tax into the digital financial core of their businesses, so they can thrive in a world where tax is part of every transaction. A complete, modern cloud software solution is an essential part of helping companies Solve Tax for Good so they can focus more time on growing their businesses. Traditional tax software for corporations wasn’t built for modern tax. Sovos was. IDC names Sovos a Leader. 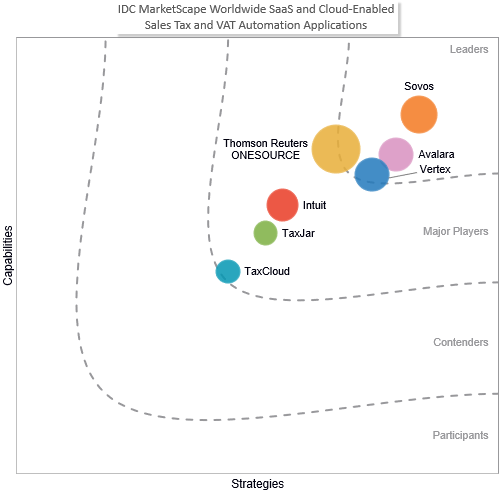 We take great pride in the IDC rating and the positive feedback on our complete, continuous and connected solution, ideal for “businesses in search of a sophisticated cloud tax software capable of supporting large, multinational tax and e-invoicing regulatory demands.¹” The report highlights core strengths, where we invested heavily ahead of the evolving landscape – including our S1 cloud infrastructure and digital tax support for customers in more than 60 countries. Read the IDC MarketScape brief to learn how Sovos brings value to those looking to Solve Tax for Good. As president and Chief Executive Officer, Andy guides Sovos’ mission to deliver peace of mind through intelligent compliance for the 4,500 clients that are met with demanding tax compliance and reporting obligations while growing their businesses. Andy joined the company in January 2013 at a time when the industry expertise, market leadership and experience of Taxware, VAT Resource, Convey and ShipCompliant solutions were combined under Sovos to resolve businesses’ most complex compliance challenges on a global scale. His leadership experience spans more than 25 years, during which time he has successfully grown technology companies with a forward-thinking approach to solving key challenges in the services and manufacturing industries. 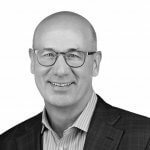 With 15 years of experience in regulatory and compliance software, Andy understands the challenges faced with business-to-government compliance and ensures Sovos serves as a proactive partner in compliance, rather than a reactive solution. Andy holds a B.A. in Business Management & Marketing from Cornell University and an M.B.A. from Tulane University.